It contains all the contacts you need for your business within the industry. Keep it close at hand to help you out during the next 12 months. It is brought to you by Sports Insight magazine, the market-leading business to business magazine for your industry. 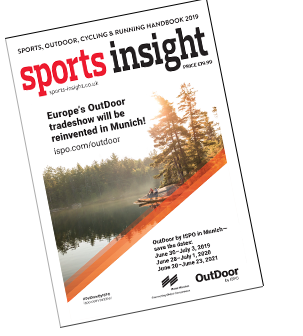 Read all the latest news and views from the sports, outdoor and cycling marketplaces as well as fitness, leisure and nutrition. And don’t forget you can also get all the information online at www.sports-insight.co.uk, follow us on twitter @SportsInsightUK, as well as on Linkedin. Sports, Outdoor, Cycling and Running Handbook can be access the on your mobile device anywhere in the world via Apple Newsstand, Amazon Kindle and Google Play. 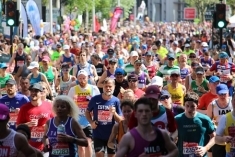 Whether you’re a buyer looking for inspiration or you need a comprehensive list of independent sports retailers in the UK, ROI or ROW, this guide’s for you. In addition, you can now access the Sports Insight Trade Buyers’ Guide on your mobile device anywhere in the world. 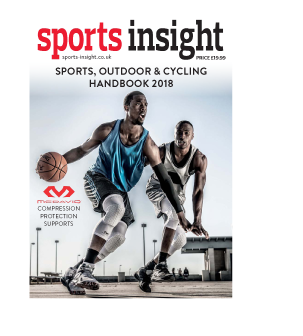 Sports Insight Trade Buyers’ Guide 2017/18 BOOK NOW - don't miss your chance to be part of the definitive guide to the sports trade. In today's business world, it's all about maintaining your competitive edge and the sport's trade is no different. At a time when margins are slim and competition is fierce, it’s essential you stay one step ahead of your rivals. The Sports Insight Trade Buyers’ Guide is here to help you do just that. The most comprehensive guide to the UK and Republic of Ireland sports trade available, it's packed with information on hundreds of Manufacturers, Wholesalers, Distributors, Buying Groups, Sporting Organisations and Associations and can help you stand out from the crowd. Published in print and online at www.sports-insight.co.uk in August 2016, the Sports Insight Buyers' Guide offers a range of cost-effective advertising options - from premium entries and double page spreads, to full-colour display advertising and high-visibility cover positions. The 2016/17 Sports Insight Trade Buyers’ Guide will be distributed to all of the sports trade. Your business deserves the best and the best are in the Sports Insight Buyers’ Guide. The Sports Insight Buyers’ Guide is also available on the Apple Newsstand, Amazon Kindle and Google Play.